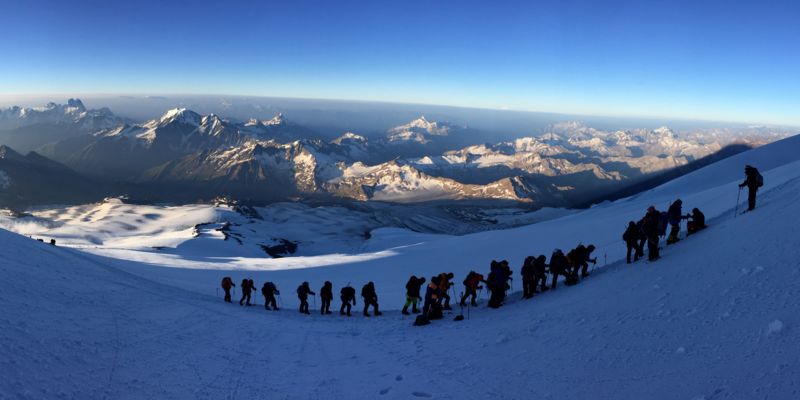 this year, the Expedition Club is organising the first ever Seven Summits Week. What are the seven summits, you ask? They are the highest summits of each of the seven continents. Only 416 people in the world have completed the challenge of standing on the peak of all seven so far. Our experienced Expedition Club adventurers, Jessica Song and Simon Welter, are organising two parallel treks to Mount Elbrus (Russia, tallest summit in continental Europe; first ever LBS trek to the mountain) and Kilimanjaro (Kenya, tallest peak in Africa). The treks will take place on 07. Sep to 15./17. Sep 2019 (block week 3 of the autumn term). During our information session Jessica and Simon will introduce their trek schedules, requirements, costs and will answer any potential questions. They will also share some exciting pictures and stories from previous years.